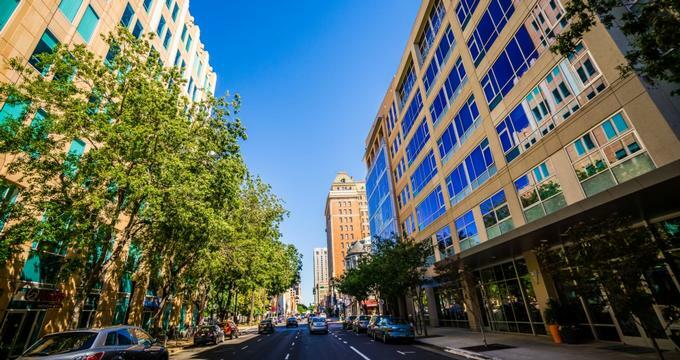 Sacramento is one of the nation’s most abundant agricultural regions, which gives it easier access to more fresh ingredients than any other city. Many of the restaurants on our list focus on being farm-to-table and serve meals made from organic, natural, and simple ingredients. 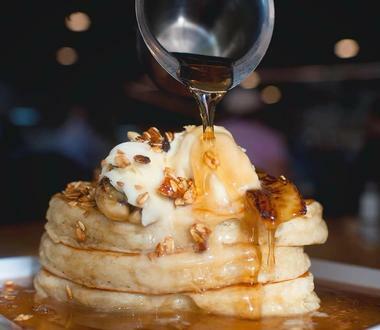 The area’s food culture is thriving, and all the establishments mentioned below are a part of a boom that shouldn’t be missed, but special mention goes to the freshly baked cinnamon rolls drizzled with cream cheese frosting made in-house at 33rd Street Bistro. The Waffle Experience gives you a whole new reason to fall in love with the delicious concoction over and over again. Food is made with the freshest ingredients, which are organic and locally sourced. Breakfast is served every day from 8:00 a.m. to 3:00 p.m. and the menu has a unique range of items no matter if you’re looking for something light or heavy. Popular choices are Praise the Lard, which is a house-braised pork belly served with arugula, ricotta, and eggs on a lardon-studded herb waffle, and the Farmyard Foghorn, which has honey buffalo free range chicken, cherrywood-smoked bacon, blue cheese crumbles, and a basil aioli that brings it all together. 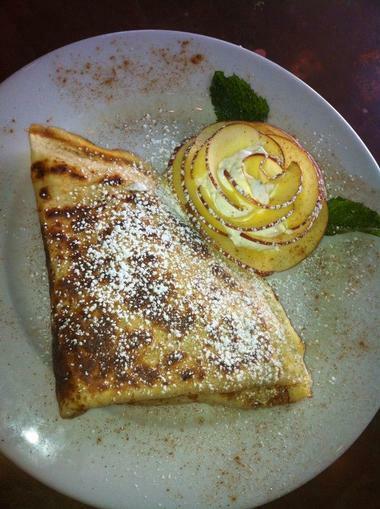 33rd Street Bistro has been one of East Sacramento’s favorite breakfast and brunch spots for over 20 years. Open from 8:00 a.m. onwards every day of the week, the breakfast/brunch menu comprises many unique and delicious concoctions. You definitely shouldn’t miss the freshly baked cinnamon rolls, which are smothered in cream cheese frosting made in-house. Other dishes include the breakfast quesadilla with chorizo sausage, black beans, and Vera Cruz salsa, the yummy lemon ricotta pancakes, and the Impossible Burger, which is 100% plant based and sits on an artisan bun. Those who are there on the weekend can enjoy bottomless mimosas until 2:00 p.m. for only $10. Renowned for their farm-to-fork cuisine, Bacon and Butter offers a wide array of breakfast and brunch options – all of which are made to order from scratch. Focusing on artisanal cooking, all the ingredients are sourced from local farms and vendors, many of whom were met at the farmers market. The menu changes throughout the year based on what’s seasonally available. Popular options include the breakfast burrito made with house chorizo, scrambled eggs, potatoes, and a flour tortilla, as well as the chicken and waffles, which comprise deliciously seasoned fried chicken breasts on Belgian-style buttermilk waffles. Created in 1981 by Lee Manolakas, who was an accomplished chef with a lifetime of experience in the hospitality industry, Brookfields Restaurant serves family-favorite homemade recipes in a friendly atmosphere. They’ve since expanded to three restaurants, which are operated by Lee’s son, daughter, and a talented group of loyal employees. Customers can come in for a hearty breakfast that is fresh and delicious; the San Francisco Joe’s is only 450 calories and includes seasoned beef, onions, olives, spinach, and mushrooms scrambled into eggs and served with a fresh biscuit, breakfast potatoes, and a homemade scone. With menus that change often based on what is seasonally available, Cafe Bernardo offers breakfast from 7:00 a.m. to 11:00 a.m. on weekdays and 8:00 a.m. to noon on weekends. Those who don’t want to stray too far from the norm can have two eggs any style with herbed potatoes, jam, and toast; for an additional cost, you can add bacon, ham, or breakfast sausage. If you’re in the mood for something sweet, the yeast-raised pecan waffles come fresh and hot straight off the griddle and are topped with salted butter and pure maple syrup. The freshly baked pastries are a lighter breakfast option and are a delicious way to start the day. One of Sacramento’s best places to spend time with friends and enjoy a delicious meal, Cafeteria 15L is a local brunch hotspot. The eclectic urban restaurant serves American comfort cuisine in a class yet laidback atmosphere that evokes the nostalgia of a home-cooked meal. Customers can dine in the classic indoor setting or get some fresh air on the large patio for the weekend brunch, which is served from 9:00 a.m. to 3:00 p.m. Though there is a range of items on the brunch menu, special items that shouldn’t be missed are the malt waffles with fresh berries and pecan butter, the chicken-fried steak served with breakfast potatoes and a biscuit, and the breakfast waffle sandwich, which has a concoction of potatoes, fontina cheese, bacon, eggs, maple syrup, and can include the delicious house-made sausage patty. Open from 6:00 a.m. onwards Monday to Saturday and 7:00 a.m. onwards on Sunday, Carol’s Restaurant is a casual breakfast and brunch spot in which diners can relax and enjoy a delicious meal. Focusing solely on serving some of the best breakfast and brunch meals in the area, Carol’s is famous among both locals and visitors. The family-owned restaurant is set up like a family dining room, and casual conversation and good times are sure to be had. The comfort food ranges from eggs any style to more delicious concoctions; the Mexican breakfast specials shouldn’t be missed, especially due to the homemade salsa and enchilada sauce. The Cornerstone Cafe and Bar is a great place to go to if you’re in the Sacramento area and looking for a delicious breakfast or brunch. The dining establishment is open from 6:00 am onward Monday to Saturday and 7:00 a.m. onwards on Sunday; closing times vary throughout the week, so check in advance if you’re heading over there later in the day. 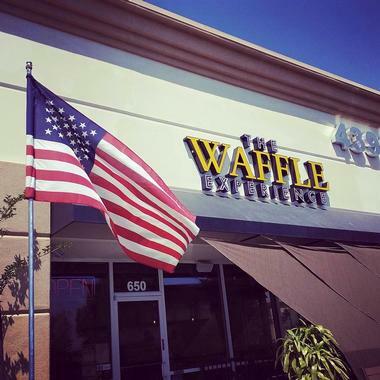 Serving classic American breakfast 365 days a year, even on holidays, you can indulge in eggs any style, chicken-fried steaks, corned beef hash, and a range of short stacks and waffles hot off the griddle. Vegetarians also have a range of options such as the vegetable platter, which is two eggs with tomatoes, mushrooms, bell peppers, onions, and cheese. The Cricket Country Kitchen is a lovely little diner that offers fresh breakfast options all day long. The meals are made from the finest ingredients and the diner itself is a happy, friendly place in which people can feel at home. In fact, there’s a legend behind the kitchen: When the owner purchased the space, she came across a box that contained a story about a girl named Penelope who was granted wishes by a little cricket; under dire circumstances, one of her wishes led to her being stuck in a mannequin so that she would be a part of the restaurant forever. Now, customers can see Penelope as they enjoy breakfast favorites such as biscuits and gravy, sausage patty sandwiches, and the Special K, which is diced ham and scrambled eggs on a homemade biscuit covered with country gravy and served with country potatoes. 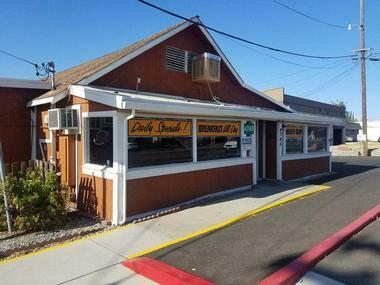 Open for brunch every Sunday from 9:00 a.m. to 2:00 p.m., Dad’s Kitchen is a fun and friendly restaurant filled with favorites that everyone in the family will enjoy. The extensive menu has a range of breakfast plates, omelets, burgers, sandwiches, and sides that both kids and adults love because they’re delicious and healthy. The Standard Breakfast Plate is delicious and has two eggs any style with biscuits, ham, home fries, and jalapeno mango chicken sausage. Other favorites are the organic turkey burger and the Hot Blonde panini made with organic chicken, spinach, and avocado and comes with sea-salted fries. 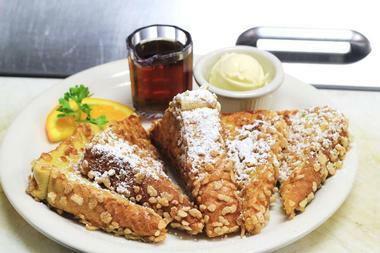 Eggie’s Restaurant has been one of Sacramento’s favorite diners since 1977. 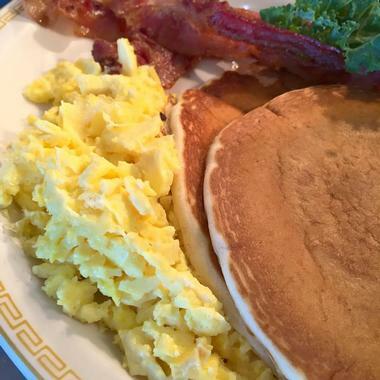 Serving delicious home-style breakfast, Eggie’s is recognized in the neighborhood as a friendly establishment with a hospitable atmosphere that has become a second home to many in the area. 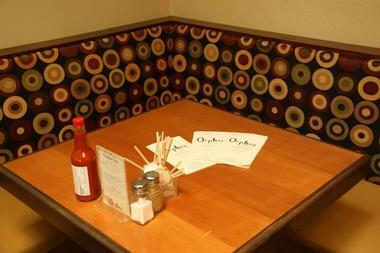 If you’re in the vicinity for only a short time and want to dine like the locals do, make sure to head to Eggie’s. The classic diner food that is served is down to earth and uses simple ingredients that bring out the flavor of everything offered. Favorites vary from a plate of French toast, biscuits smothered in gravy, or any-style omelets topped with chili verde sauce. 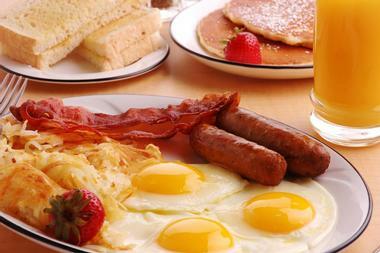 Closed on Mondays, Evan’s Kitchen and Catering serves delicious breakfast from 8:00 a.m. onwards the rest of the week. 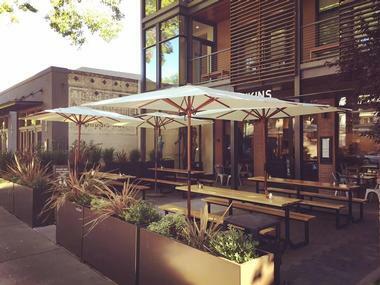 The restaurant is the brainchild of renowned Sacramento chef, Evan Elsberry, who perfected his craft in some of California’s finest restaurants. The breakfast menu has something that will please even the most particular palate, including dishes created specifically for vegetarians and vegans. Alex’s Breakfast Burrito is a dish that shouldn’t be missed and is a super grande tortilla filled with chorizo, jalapenos, onions, cheese, eggs, and potatoes and served with home fries. All the delicious mains can be accompanied by additional eggs, salsa, bacon, ham, sausage, chicken apple sausage, guacamole, country gravy, potatoes, and much more. 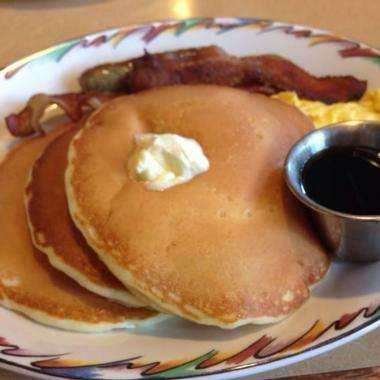 Sacramento’s number one breakfast spot, Flapjacks Diner offers delicious food with quick service by friendly staff. Aiming for every diner’s Flapjacks experience to be perfect, the menus are separated for adults and kids. The fresh strawberry waffle is a seasonal treat and comes with a whipped cream topping; diners can choose to replace the traditional pancake batter with buckwheat flour. The Swedish crepes and French toast are also good options, while the Italian crespelle is a delicious concoction of two crepes folded with hazelnut chocolate and bananas. Skillet options vary from the Portuguese skillet with linguica sausages and the Mexican skillet with chorizo to the hearty Farmer Jack’s skillet, which has two biscuits smothered with sausage, scrambled eggs, country potatoes, and a delicious gravy. The Fox & Goose Public House is a replica of the original in Hebden Bridge, which has been in operation for over 200 years. 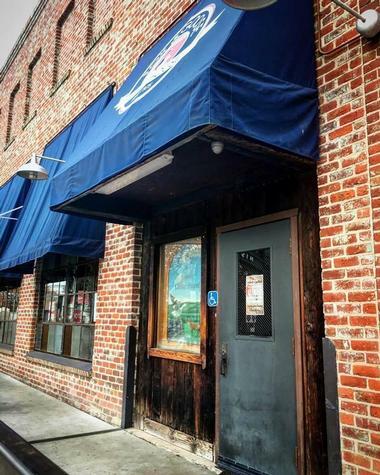 Sacramento’s Fox & Goose may not be as old, but it does encompass the atmosphere and traditional qualities that have made the public house popular with everyone who comes there. 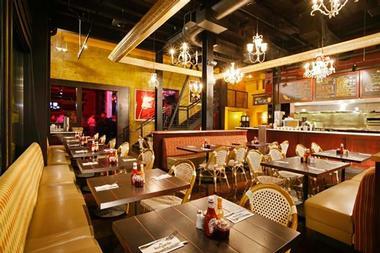 The distinctive restaurant is reputed for serving “the best breakfast in San Francisco” and has won many awards over the years. Breakfast options include a choice of the full English, pub grills, or vegetarian pub grills, which combine tofu with potatoes, onions, bell peppers, and more. Harry’s Cafe is open from 7:00 a.m. onwards from Tuesday to Sunday. The cafe is great for family breakfasts, a quick bite before heading into work, or a hearty meal to cure a hangover from the night before. 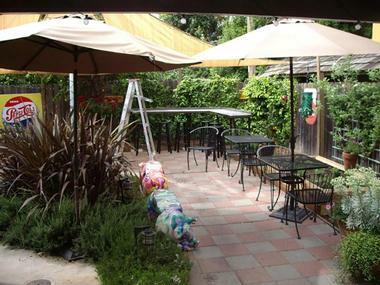 The cozy cafe has several American and Asian-influenced breakfast options, which diners can enjoy indoors or outside, weather permitting. People who visit the establishment often are always raving about the cafe’s loco moco, pancakes and waffles, the Hawaiian No. 1, and the breakfast fried rice, which can be made with your choice of meats and vegetables. 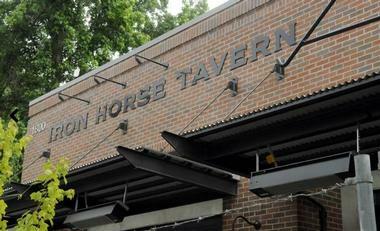 Serving breakfast Monday to Friday from 8:00 a.m. to 11:00 a.m. and brunch on the weekends from 8:00 a.m. to 3:00 p.m., the Iron Horse Tavern has a seasonal menu to ensure that everything they serve is as fresh as it is delicious. 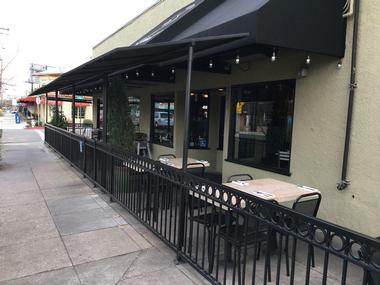 Created by the same people as Cafeteria 15L and the Firestone Public House, the Iron Horse Tavern is a sleek and sophisticated dining destination in Sacramento. The eclectic and fun menu can be enjoyed indoors or al fresco; popular choices are the Spanish frittata, the breakfast board, the oatmeal brulee, the stuffed French toast, the Korean fried chicken, and the loco moco. 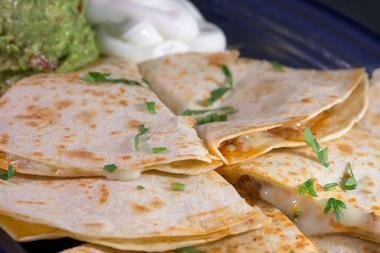 Serving the finest Southwestern cuisine in the Sacramento area, Nopalitos was created by trained chefs Dave and Rose Hanke. For over 25years the cafe has served their diners delicious cuisine, some of which has become legendary and has made the cafe a popular landmark. Breakfast is served from 6:30 a.m. to 10:45 a.m.; the menu has a breakfast burrito that diners can build themselves with scrambled eggs, salsa, potatoes, chorizo, sautéed vegetables, bacon, chili verde, and machaca on a large flour tortilla. The Little Cactus Special is a favorite with younger diners and is a concoction of tortilla chips, eggs, cactus, corn, and cheese topped with salsa, ranchero sauce, and sour cream. Orphan is a lovely little eatery in Sacramento that has a generous breakfast menu and a friendly and welcoming atmosphere. The menu comprises dishes created from simple familiar ingredients that seamlessly integrate favorites with low-fat alternatives, making it one of Sacramento’s healthiest breakfast spots. 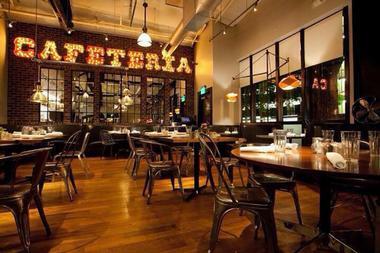 The cuisine has subtle hints of Latin and Asian flavors as well, giving it a kick that is uncommon but welcome. The breakfast menu has a combination of sweet and savory options; popular meals include the blueberry cornmeal pancakes, the grande breakfast burrito, and the soy chorizo breakfast with eggs, cheese, chorizo, black beans, and scallions served on a crispy corn tortilla. Priding themselves in being 100% gluten free and 100% all-natural, Pushkin’s Restaurant is a great place to enjoy brunch while in Sacramento. 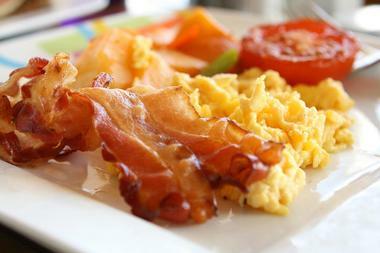 The brunch menu has a number of sandwiches, bowls, salads, and plates of eggs cooked in numerous styles. The quinoa bowl comes with cured salmon, a poached egg, and a mix of vegetables tossed in a lemon vinaigrette. The basket of vegan baked goods is a great item to add to the table and share with friends and family. All the meals go well when accompanied by one of Pushkin’s many drink options; choices include freshly squeezed drinks, espresso drinks, champagne, wine, and ciders. 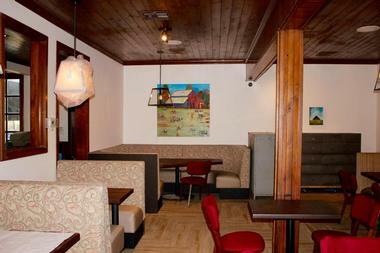 Roxy Restaurant and Bar has been serving the Sacramento area since 2006. The restaurant serves food with a farm-to-fork policy in mind and sources fresh, locally produced ingredients that are organic and all-natural. The elegant dining area is a wonderful place to enjoy a meal with friends and family; when the weather is good, head on out to the patio to enjoy the food in the outdoors. Open from 9:00 a.m. onwards throughout the week, Roxy’s breakfast and brunch menu has many items to offer. While there, you should try the handmade doughnut holes, the cheddar biscuits and gravy, and the LDR Beef Breakfast Burrito. 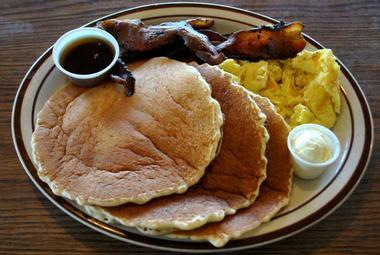 Natomas Black Bear Diner in Sacramento is open from 6:00 a.m. to 10:00 p.m. every day of the week. The unique diner offers a collection of hearty dishes in a woodsy, bear-themed setting that is half the fun. 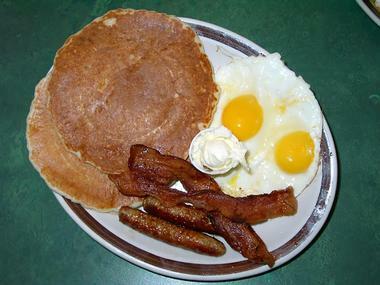 If you’re really hungry, go for the large portions provided in The Grizz, which has pancakes, eggs, bacon, sausage, ham, and potatoes, or the Bigfoot Chicken Fried Steak & Eggs, with eggs, hash browns, potatoes, homemade biscuits, and fresh seasonal fruit. Their one-of-a-kind buttermilk and sweet cream batter makes the most delicious pancakes and waffles in the region. 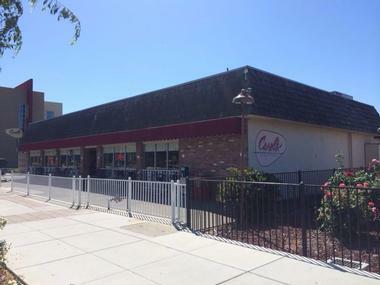 Kids will love eating off the special Cubs Menu while at Natomas. Sarom's Southern Kitchen	Sarom’s Southern Kitchen is a newer addition to Sacramento’s growing number of breakfast and brunch spots. It is the brainchild of Cambodian cook and businesswoman, Sarom Doeuk. 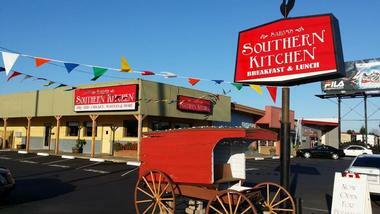 The restaurant offers traditional Southern-style cooking with unique flavors infused into even the most common breakfast dishes. You can indulge in old-fashioned French toast or a waffle combo with applewood-smoked bacon straight off the griddle. 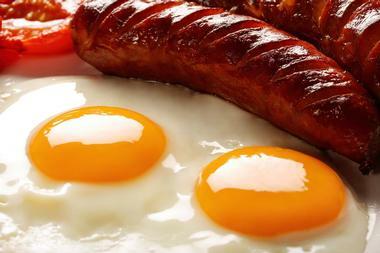 Their two eggs any style options let diners combine popular favorites with their eggs, such as chicken-fried steak, country corned beef hash, beef brisket, black Angus New York steak, and mouth-watering smoked ham steak. Since 1990 the Tower Cafe has been serving delicious cuisine influenced by flavors from around the world. The owner’s intention was to attract the hearts, and appetites, of the diverse people who call Sacramento home. Voted the “best breakfast in Sacramento” by the Sacramento A-List, their diverse menu has many award-winning dishes. The French toast served at Tower Cafe is famed and comprises a custard-soaked French bread topped with whipped butter. Other Tower specialties are the Mexicali breakfast burrito, huevos rancheros, the Greek pita scramble, and the Caribbean hash, which is a slow-roasted pork covered in Jamaican spices. 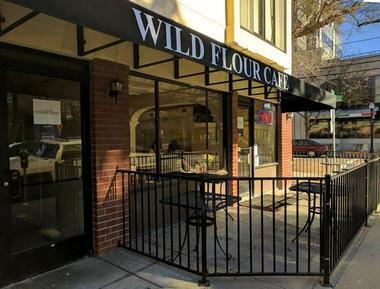 Wild Flour Cafe is one of Downtown Sacramento’s newer breakfast destinations. They serve mouth-watering artisan house-crafted sausages, bacon, and baked goods that will keep diners coming back again and again. The cafe is open from 8:00 a.m. onward from Saturday to Tuesday and 7:00 a.m. onward from Wednesday to Friday. Even better, if you feel like staying in your home or hotel, the cafe will deliver all their favorites to you. All the ingredients used are locally sourced, and to keep in line with the restaurant’s sustainability, much of the takeaway salads are served in return-for-deposit mason jars or customers can get discounts for bringing their own coffee mug.